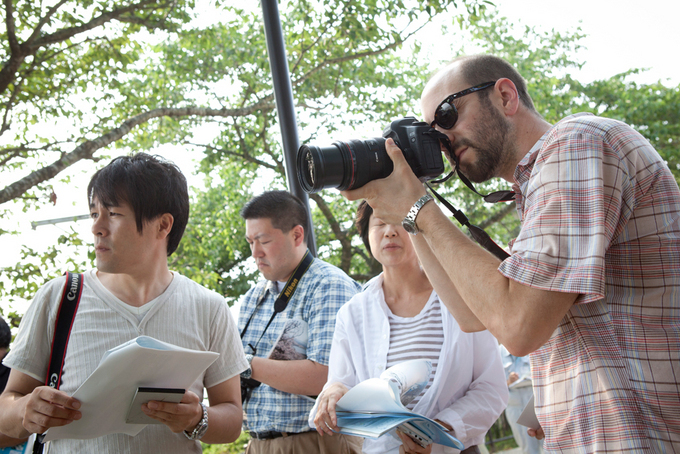 In June 2011 fledging American journalists visited three cities affected by the Great East Japan Earthquake--namely, Kesennuma, Ishinomaki and Rikuzentakata--in the heat and humidity which reminded us that summer was approaching. Their mission was to deliver "Genki Mail (Hope Messages)" collected throughout the U.S., to victims of the March 11 disaster. This undertaking originally started in Kobe in August 2009. Amid growing concern over a relative decrease in Americans' interest in Japan, the Japan Foundation Center for Global Partnership launched a project to invite American graduate students majoring in journalism at prestigious universities to Japan with the aim of fostering greater understanding and stronger interest in Japan. My affection for my hometown Kobe made me change the itinerary. I wanted the participants to know the reality of disaster coverage as a starting point of journalism. So I included Kobe, which was devastated by the Great Hanshin Earthquake in 1995, as one of the destinations. 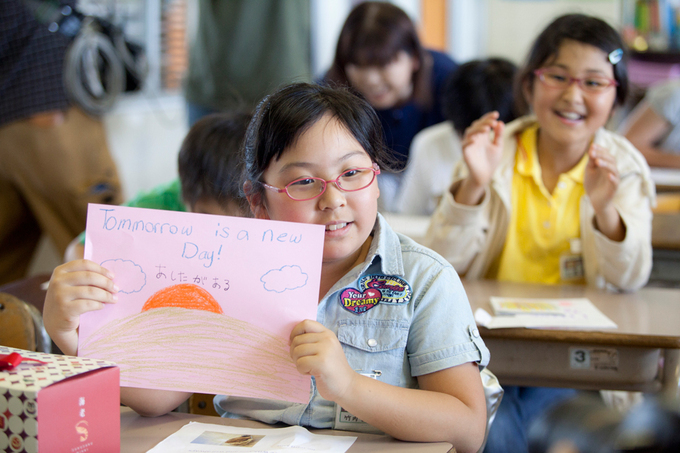 In Kobe those students learned the significance of rebuilding social bonds destroyed by a disaster and not isolating disaster victims during the process of reconstruction. 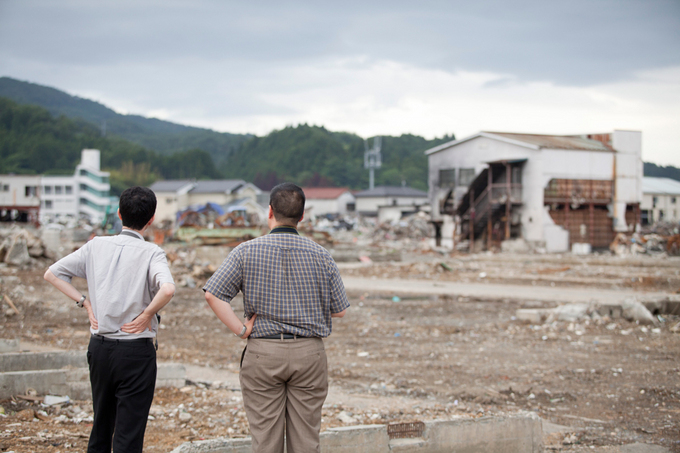 In the Great Hanshin Earthquake, tragic incidents occurred: Some people killed themselves or died with no one present after moving from evacuation centers to temporary housing units. Yukitaka Uritani is one of the Kobe earthquake victims who seriously thought about committing suicide because of loneliness. Yet he was saved by tens of faxes sent to his office from other countries, including Mongolia and China. The words "I'm always thinking about you even though we are far apart" gave him strength to go on. Since then Uritani has been involved in volunteer work to deliver support messages inside and outside of Japan wherever and whenever a major disaster occurs. I still vividly remember young American journalists, who are supposed to be dry-eyed, listening to Uritani's earthquake experience with teary eyes. When the Great East Japan Earthquake occurred this March, those young Americans, recently graduated from graduate schools and starting to pursue careers as journalists, responded to Uritani's appeal not to repeat the tragedy of Kobe and to send messages of support to affected areas from all over the world. 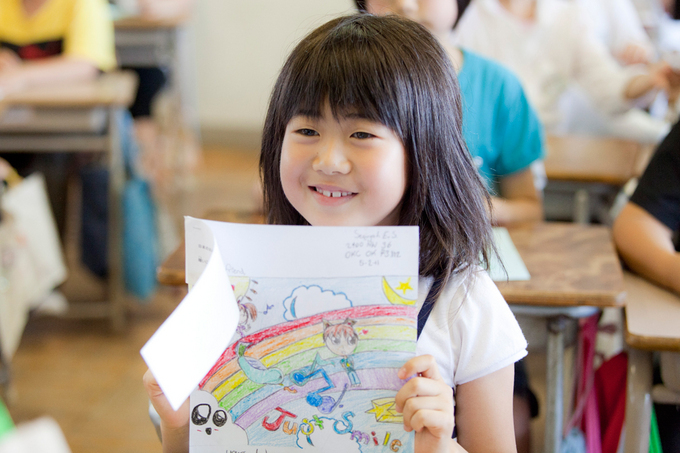 Illustrated encouragement notes written by American elementary school children were collected through various routes, and soon the total reached seven thousand. All of these notes were sent to Uritani through the Japan Foundation Center for Global Partnership. Then volunteers in Kobe translated each note into Japanese. 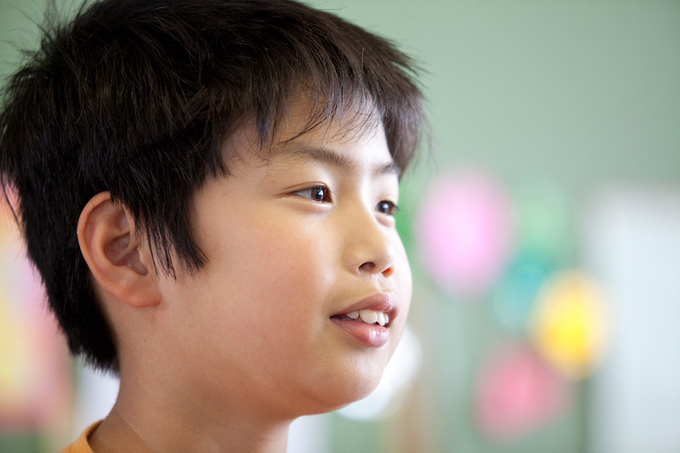 The "Genki Mail" project is based on this relay of goodwill by large numbers of people across the Pacific Ocean. To hand-deliver these messages to people affected by the March 11 disaster, a team of five young American journalists headed by Paul Niwa, associate professor at Emerson College, visited Minami Kesennuma Elementary School, Kesennuma Elementary School, and an evacuation shelter in Ishinomaki City. The children of Minami Kesennuma Elementary School were forced to take classes in the classrooms of Kesennuma Elementary School because their own school building had been swept away by the tsunami. 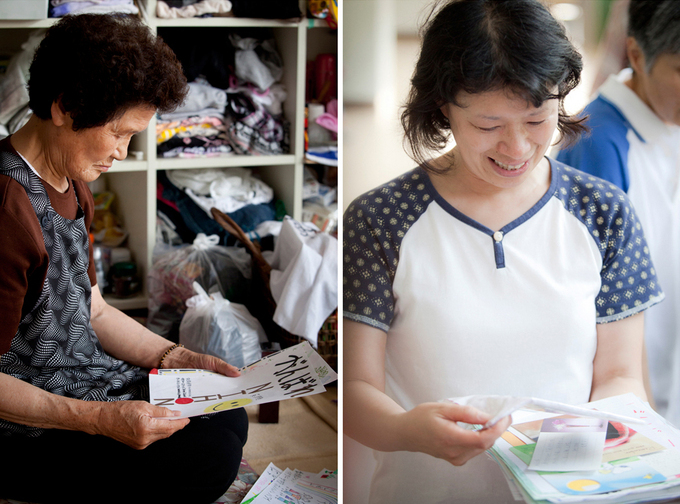 When they received the "Genki Mail," they flashed beaming smiles. Such smiles give devastated adults courage, strength to live and a beacon of hope. School children happy to read "Genki Mail"
Receiving "Genki Mail" at a shelter a dignified woman murmured, "We have survived many natural disasters and wars in the past. So I believe children who've been going through this disaster will bravely live for the future." In a meeting held in the evening of the same day Professor Niwa said, "We were supposed to cheer up the disaster victims. But instead they gave us the spirit of power and life." It was impressive that everybody nodded in agreement. Tadashi Ishii, a medical doctor at the Ishinomaki Red Cross Hospital, struggled to establish a disaster medical system in close contact with the government, local police and fire departments, and Self-Defense Force personnel in order to save lives, even though the hospital had been isolated by the tsunami. It also destroyed the facilities of the Ishinomaki Hibi Shimbun, a daily newspaper in Ishinomaki, but its president, Koichi Ohmi, displayed his journalistic spirit by publishing a wall newspaper for six days. In addition to these two gentlemen, organizations with different responsibilities, like the government, business enterprises and nongovernmental organizations, all agreed that a major challenge in the process of reconstruction was to provide people affected by the earthquake with mental care. For young American journalists, their trip to the Tohoku area to deliver "Genki Mail" must have been a precious opportunity to learn that disaster reconstruction involves dealing with mental issues that cannot be solved by providing relief supplies and financial aid. As part of a program to support disaster reconstruction, the Japan Foundation Center for Global Partnership organized and carried out the "Genki Mail" project to serve as a bridge between areas affected by the Great East Japan Earthquake and the United States. Five people representing young U.S. journalists stayed in Japan from June 26 to July 4, 2011, and visited three disaster stricken areas--Kesennuma City and Ishinomaki City in Miyagi Prefecture and Rikuzentakata City in Iwate Prefecture--in addition to Tokyo and Kobe.